Article writing teaches clarity. The limited word count of an article trains an author to think clearly and write concisely. 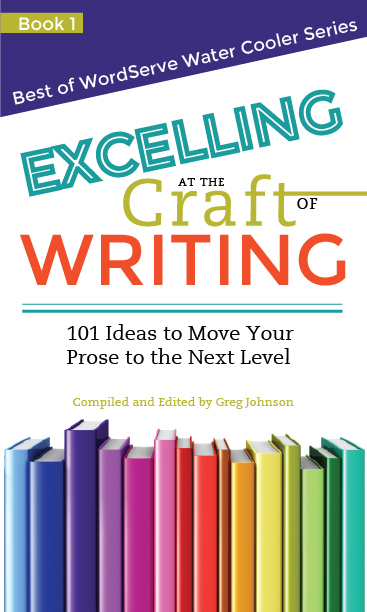 While an author of a book can define and develop his or her message across many chapters, a writer preparing an article must get the job done in less than a few pages. I found that article writing for journals and magazines helped me winnow my words and learn to support my key ideas with only the strongest illustrations from the most reliable sources. Article writing also honed my ability to write an outline – a skill useful for writing book proposals. Article writing permits creativity. If you want to test an idea or a style, find a suitable publication and write a query to the editor. If you succeed, you will probably have between 1000 and 2500 words to try out your concept. If you discover a great new topic that deserves further exploration, you can follow up by writing a book proposal. If you find that you can express all your thoughts on the topic within an article or two, you have broadened your horizons without the long commitment that book writing entails. Move on and try another topic until you find your niche. Working with a variety of editors will improve your writing career. You will gain insights and learn new techniques from each editor. Article writing expands an author’s audience. To be granted the privilege of publishing a book, you need a platform. To maintain book sales, you need to connect with readers. Article writing creates the platform a novice writer needs in order to obtain that first book contract. Article writing also helps a seasoned author keep in touch with readers. Choose publications most likely to interest your potential readers, but, remember, if you write for new publications, you will expand your audience. Online publications or print publications with an online presence create opportunities to share your work across social media, a bonus for an author trying to reach more people. I have learned to enjoy variety in writing, appreciating the different approaches to communicating to the specific audience for a given publication. Article writing gives me the opportunity to address a wider variety of issues than I could cover through book writing alone. What types of writing have shaped your writing career? What have you learned from writing beyond the pages of a book? Do you have that first novel completed? Have you been staying up late and getting up early to study and write about a topic you’re passionate about telling the world? Then it might be time to query a few agents to see if you have what it takes to get their attention. But keep your expectations realistic. New authors are harder to break out than they’ve ever been. And please, don’t blame the agent. We’re just the messenger of what publishers keep telling us. You’ll need some criteria to go by to determine if you’re ready. Here are a few dozen hints. Someone who reads a lot, both within the genre they write as well as others. The 80/20 principle is alive and well in publishing. Publishers must have the big sellers to stay in business. So 80% of their advance and marketing money will always go to 20% of the authors and books. And if you’re a new author, unless you’re a pastor of a mega-church or you can write like Hemmingway (or better), you’re likely not going to be amongst the 20%. Because of the loss of browsing retail, publishers can’t find readers, so they expect authors to find them. They want authors with built-in audiences ready to buy. That’s why they are less willing to take risks on unknown/debut authors, preferring known quantities instead of new voices. If I had 200 new authors to speak to, there would be perhaps 5% who will ever get published traditionally. Not because they can’t write. Not because they don’t have a compelling message. It’s because they still have an information gap about what it takes to get published and be successful at it. Great writing. They want authors who are sold out to getting honest critique. They want a book with a clear vision/message, and an obvious audience (felt need). They hope authors are willing to study the craft of writing, attend conferences, willing to join and participate in critique groups or have a critique partner. Most of all, they want authors who have “come to play.” They’re working on building audiences; they’re invested in their own marketing and they have a plan to grow. Publishers and agents want more than one book. They want to grow with you and your career. Money. Okay, that’s not terrible. Would C.S. Lewis have written The Chronicles of Narnia for free? Provision—whether it’s today’s manna or retirement’s manna–motivates us, and it’s not evil. However, if this is your ONLY motivation, you have to ponder whether God will bless it. You also have to recognize that it’s harder than ever to make a living as a writer today, and that the days of six and seven-figure advances (with a few exceptions) are largely gone. Legacy. Publishers don’t care about this unless you’re already famous. Legacy projects get self-published, and that is perfectly fine. This does not include “ax to grind” books. Please, self-publish those. We can’t sell them. “I can’t help myself.” Obsession is a good place to be, but not if you’re sacrificing your health, family, bank account and soul to do it. Your obsession should pass the “sniff test” by those who know you best. Just because you feel “God has told me” to do this, doesn’t make that statement true. Obsessions MUST be confirmed by several people in your life before you give them wings in a big way. So, with all of this in mind, here’s how to know “forsure-forsure-forsure” you’re ready for an agent. You have something inside of you that must get out. A novel, a message, a memoir, a brand. 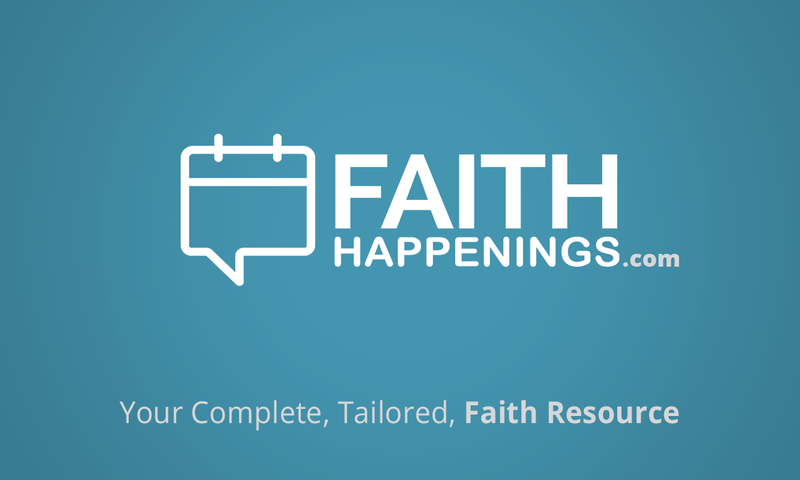 When I started FaithHappenings.com two years ago, I was like a dog with a bone. My excitement did border on obsession. You understand that traditional publishing is a business and you won’t question their motives if they reject your work. People DO know more than you. You feel God’s pleasure in your efforts to communicate what you want to share. You can’t wait to get to your computer. You know your motivation. It doesn’t have to be pristine, you just have to know what it is. You know your book will get published no matter what. You are going to do this! Start traditionally if that is a goal, but not let that stop you from doing what’s needed to publish independently, if you have to. Someone has said that your message, life story or writing is above the curve. But even so, remember this: Perhaps one person per state ever makes it to the major leagues in each year. The pyramid is very small at the top in any professional endeavor. You are patient with the process and want to trust an industry professional to help guide your book/career. Once you think you know more than they do, turn off the tap on traditional publishing. And this is fine. Some are wired to be control freaks. Go with it. Don’t drive yourself and an agent/publisher crazy if you want to control every step in the process. 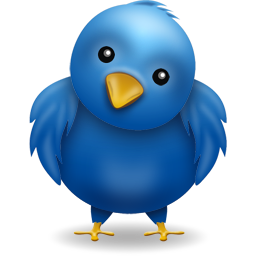 You have 5,000 to 10,000 “followers” (blog, Facebook, Twitter, Instagram, Pinterest, etc.) Further, you are convinced—and you hereby solemnly swear to not complain—that you must help any publisher you go with—traditional or your own efforts—FIND READERS. Twenty people who don’t know you well have seen your book/writing and they’re not adding much more to it. You hear the term “great writer” from several different people. You know your genre, your audience, your message—you have FOCUS!!! You have a great proposal that answers the publisher/agent questions. If you don’t, get the agent’s proposal template. We all have one. Work hard on it. Don’t have typos, and follow directions! There are too many other people vying for an agent or editor’s attention for them to waste time on a proposal that doesn’t meet the basic requirements listed. Read three book marketing books. And then in your proposal, give the agent five pages of marketing ideas you KNOW you can do. Inevitable rejection and bad reviews, perhaps even the “ten mean church ladies” who write scathing letters and reviews on nearly every book they see. You know what five agents/agencies you want to be with. Get to know what they have represented. (You aren’t sending your proposal out en masse to every agent whose email address you can find.) Of these five, take the first one who says yes. Realize that you may not get the top guy, but the reputation of the agency is what you’re after. If you can check off nearly all of these criteria, you’re forsure, forsure, forsure ready. I perked up when I heard the word “platform” mentioned for the umpteenth time at my first writing conference. “Can you give us more information?” Another frenzied writer whined. I felt my blood pressure rise as I listened to all of the questions and observed the body language of the writers all around me. I shook my head in disbelief as I considered all that I had done to prepare for this moment—particularly the last five years of academic writing. Is she saying that I need to study marketing now? Oh, great! A few days later, I abandoned my first writing conference early due to a family crisis. So I didn’t get a chance to hear more about platform building. Overwhelmed, my thoughts about building a platform and my mother’s untimely death left me dazed and confused. Should I even go forward with “writing for publication” now? Great! I just quit my day job, I whispered under my breath. I had just turned down the offer to teach writing as an adjunct instructor again that semester. Why? I needed to help with our ongoing family needs, and I wanted to focus what time I did find on writing for publication. What’s a writer to do? Where can we go for information on building a platform? Back when I started, I had to dig deep for information. Now, you can find more resources than ever before now on that topic. 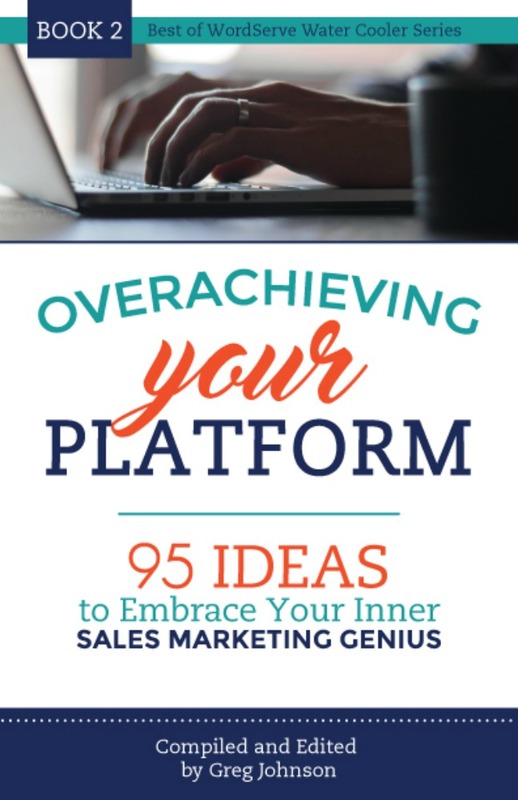 Michael Hyatt is one of the best resources I’ve found on platform building. I started following Hyatt’s blog on the advice of other writers several years ago. A few years later, when he published his book, Platform: Get Noticed in a Noisy World, I ordered my copy hoping to improve my own platform. I still recommend this book to other writers who ask me for help in that area. I’ve even led my own writing workshop on platform building based on what I’ve learned. New Year’s plans. 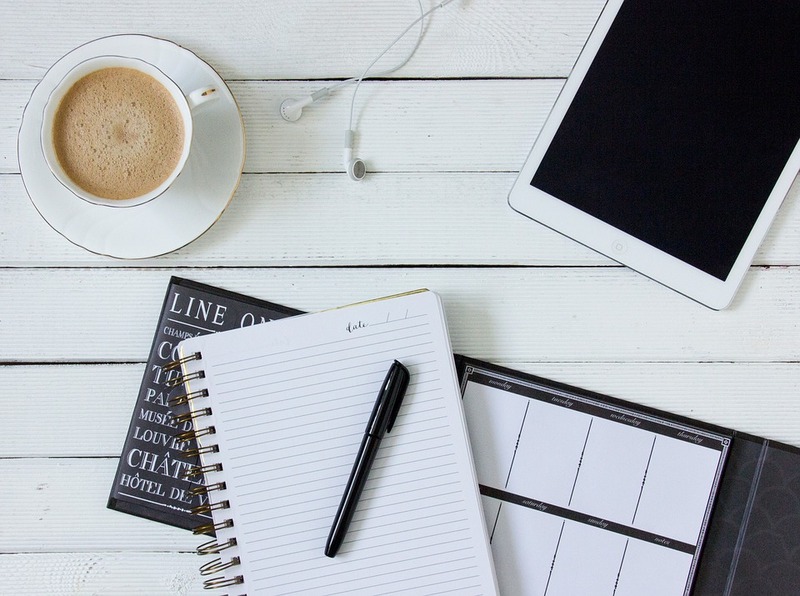 As I await my first book publication this spring, I’m still struggling with all the details of platform building—blogging, social networking, speaking, and writing. With all the advances in technology and social media, I’m always seeking new resources and ways to stay up-to-date with publishing info. What are your plans for the New Year? What have been your strategies? What’s your secret? Did you quit your day job? 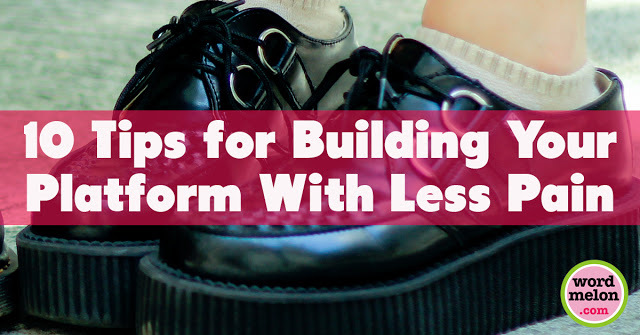 Do you have any platform building tips that you would be willing to share with other writers? I’m hoping this blog post will initiate a conversation about platform building. So, I hope to hear from you. Be sure to share your thoughts on this topic in the comment section below. What resources have helped you build your platform?